John Bertolini popped by last night to try out Black Powder. John’s actually played it before. He played a Napoleonic game with Curt back in November. Hmmmmm…. I didn’t take so many pictures (must have spent too much time looking in the rule book…). WE set up some troops and diced for who went first. Brigadier Angus Bottomwallow ordered his entire brigade to advance towards the French with all haste. They did so! Before John even had a go my troops were over halfway across the table… so much for maneuvering. On the French move the Regt. du Langedoc advanced towards the highlanders on their side of the river. Regt de La Sarre advanced and formed into line to the right of Regt. du Langedoc. I think the guns moght have moved up as well. Then, to get them moving Le Marquis d’Hiver galloped up to La Regt. du Guyenne and cried “Follow Me!” and marched them up the road and across the river. The French fired off their muskets to no effect. 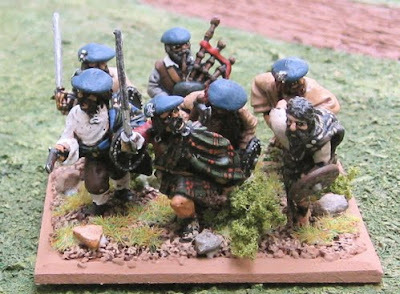 The 78th Highlanders used initiative to charge the Regt. du Langedoc, The French closing fire was withering and the Highlanders were disordered, but made it into contact. The 35th, also using initiative, crossed the river and supported the Highlanders charge. The 48th … I can’t remember if they used initiative and simply advanced towards le Regt de La Sarre, or if they were ordered to charge in…? 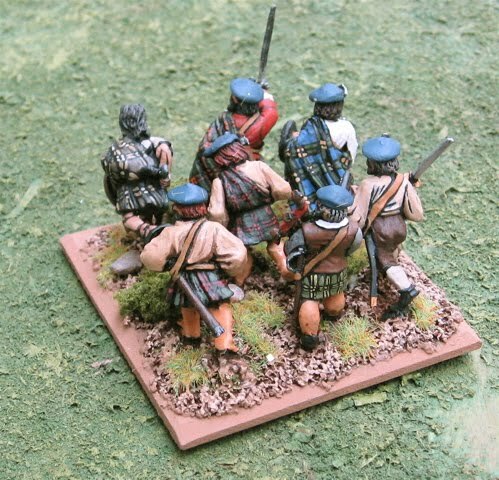 The Highalnders, I belive failed their break test and fled the field, the 48th stuck around to fight another turn. I think on the following turn the 48th lost the combat or had taken enough casualties to take a break test and they, too, departed the field of battle. It was fun enough. I’d definitely play it again. I have to say I was totally happy with the DBA Extension for 1500 – 1900AD. I also hate reading rules. I find them dreadfully boring. As rules go, black powder is well written enough and for the first dozen or so pages was quite entertaining… by the time I’d reached page 50 and still hadn’t finished the rules for shooting – let alone close combat or morale or anything… it was getting a bit tiring… By the time I was at page 63 and still didn’t know how close combat or morale worked down right tedious (again, my preference – DBA – four pages…). The fact that I’d have to rebase my units (not going to happen) or add additional stands (see previous post) to my units to be able to make the requisite formations did not further ingratiate me to these rules… By the time John showed up Thursday evening I’d only gotten to page 70… hadn’t finished reading about morale, hadn’t gotten to any of the advanced rules or anything about stats for troops or how games even ended… and by that point I’d forgotten most of what I’d read about the command phase… but I decided to wing it – it’s similar enough to Warmaster (which I’d read before, but never played) and Cold War Commander (which I’ve played extensively, but not in the last two years… or so…). Looking at the Board Game Geek Stats I played a few games this year. I apparently played 20 games of Kids of Carcasonne… I don’t remember playing that many… I’m not doubting it or anything, they must have mostly been at the beginning of the year. While I definitely want to keep the weekly Savage Worlds games going, I hope to get some more wargaming in; Contemptible Little Armies, DBA, Hordes of the Things, and some Black Powder if it works out okay. I wouldn’t mind dusting off some of the moderns to get in a game or two of Cold War Commander or even Blitzkrieg Commander. To facilitatie this I’m thinking I should set up a biweekly war game night and/or set aside one Saturday afternoon each month to play some games. 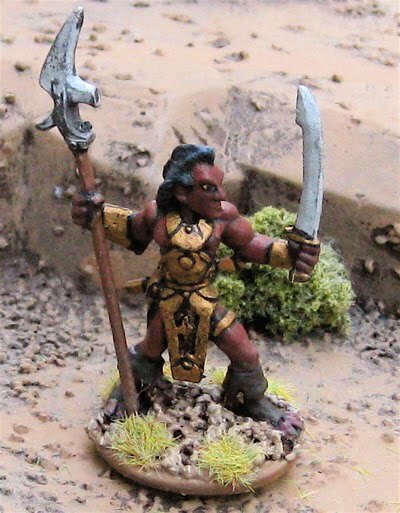 Of course the Saturday afternoon I was also thinking I might use for some of the big board wargames I’ve pickedup recently… Age of Conan, Warrior Knights, Soldier Kings, Red Russia, etc. We shall see. Thanks to everyone that played games with me this year – I hope we can play more in the coming year! This first one are old RAFM SYW/FIW figures. 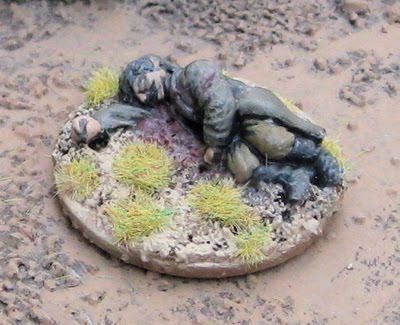 This is mostly because I wanted to experiment with a new way of basing stuff for Black Powder. There are four basic formation in Black Powder; Line, Assault Column, Marching Column and Square. While two of these (line and marching column) can be easily represented with the three stands I’ve been using for regiments, the other two (Assualt Column and Square)… not so much. I could just make a fourth stand of the same size… but then we have problems with the “command stand” being centered in line or assault column (these are the ridiculous things that keep me awake at night…). So instead I have devised a way of using two half-stands to keep everything all nice and uniform – and as the half stands are just that – exactly half a stand – I could put the two together and use them as a stand when using the DBA Extension for 1500 – 1900AD. Hopefully an after action report of tonight’s first crack at Black Powder. 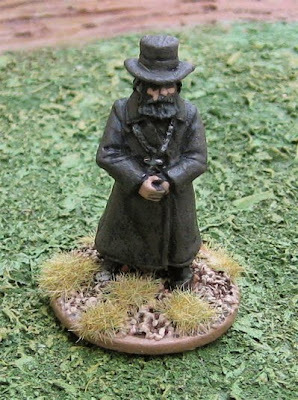 An Eastern Orthodox Preacher from Brigade Games - it came in a pack of Tsarist Officers from their Russian Civil War line. These are from The Foundry. 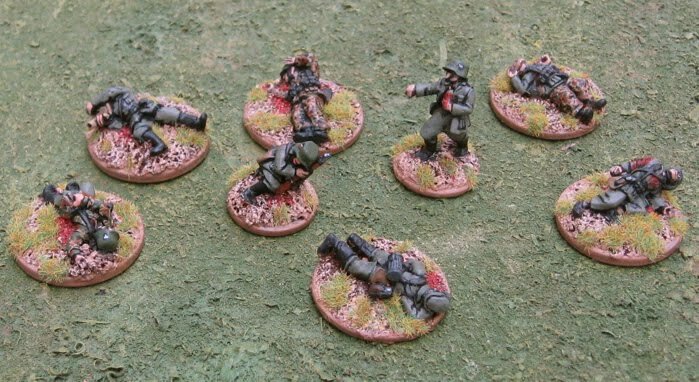 I find it interesting that half the stands (and 2/3 of the figures in the pack) are wounded officers and their drummers carrying or dragging them off…? The WW2 project is looking pretty derailed at the moment. I’m getting kind of excited about the idea of reviving my Quebec 1759 project. The moratorium died, or at least was temporarily suspended, as I took advantage of the Boxing day sales at the Dragon’s Den (I even bought a few more WW2 GIs) and the pre-Xmas sale at Fantasy Flight Games - though everything I bought there was “pre-painted” (bunch of the soviet bloc robotic-power-armour-thingies)… AND ordered a pile of new things from Renegade Miniatures (their regiment packs and five for four deals are insane!?) and Front Rank Figures… of course after this past weeks expenditures I probably won’t be buying anything until the end of the original moratorium anyway. 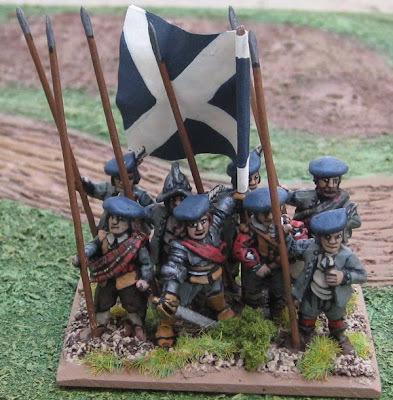 These are Lowland Conanenteer pikemen from The Foundry. T-34s painted in red/brown martian camouflage for the 3rd Barsoom War…? I’m all over the place right now. I primed a few highlanders last night. But there are also Martians, Crimean Russians, Dead SYW British, Great War Russians, and French resistance. These are… um… Russians from... well.... the Crimean War.... They are manufactured by The Foundry. Finally a Space:1889 Martian from RAFM that I’ve had for over 20 years now and just never got around to painting. I just don’t dig the yellow-skinned Martians of the Space:1889 universe – so I went with a reddish brown. I may vary the skin colour of the Martains; including some oranges and yellowish browns… Perhaps the Canal Martians will be reddish, the Hill Martians orange, and the High Martians yellowish…? Thinking more on the Plans for 2011, I’m kind of leaning towards a Savage Worlds mini-campaign for February. It may or may not be an extension of our current campaign(s) and I’ll probably cap it at six participants – the regular Savages, of course, getting first crack. For June I’m thinking I’d like to run a Hordes of the Things campaign (much like the one I ran two years ago). And for the fall… I’m definitely thinking about Quebec 1759. I’m not sure if we will use DBA-x or Black Powder yet – as I haven’t actually TRIED Black Powder yet – but I’ll give them both a try when the latter arrives. It’s also that time of year when I start to look back at what I’ve done over the past year and start to think about plans for the next year. I know I am far more productive when I have a plan – and especially when there is some specific goal worked into that plan – a game weekend or other big event of some sort. However, I have, in the past, bitten off more than I could chew, so to speak. Took on projects that were just too big, took too long and just couldn’t keep me focused. Quarterly plans seem to work better, with easily achievable goals and a sense of what might come after, but not putting down anything in stone. Currently most of my gaming has been Savage Worlds skimishy-tabletop-adventure type gaming (on ”Savage Saturday Night”). It’s mostly been World War Two (or “Weird War Two) for the last bit (see the East Front campaign at Savage Timmy’s Playhouse). I’ve been having a lot of fun running it and the players seem pretty committed to showing up and seem to be having a lot of fun with it too. What would I LIKE to do this next year? Well I’d like to keep “Savage Saturdays” going. I’m still interested in the East Front campaign and wouldn’t mind seeing it through to the end of the war… or until all the characters are killed in some climactic battle against some ultimate German evil nasty. I have a Realms of Cthulhu campaign on the back burner and would like to get playing that again. 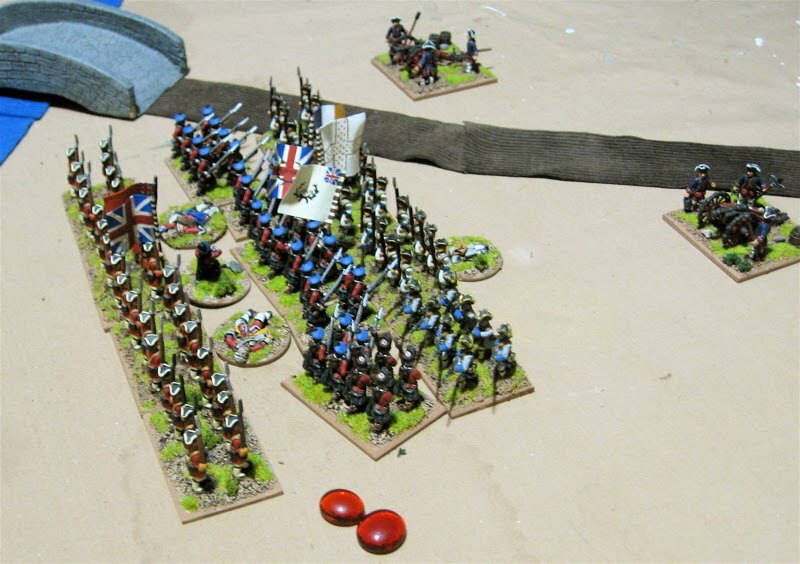 Back in October I did get in a few games with John (DBA – Vikings and Saxons, DBA-x – Seven years War, CLA – Very British Civil War). 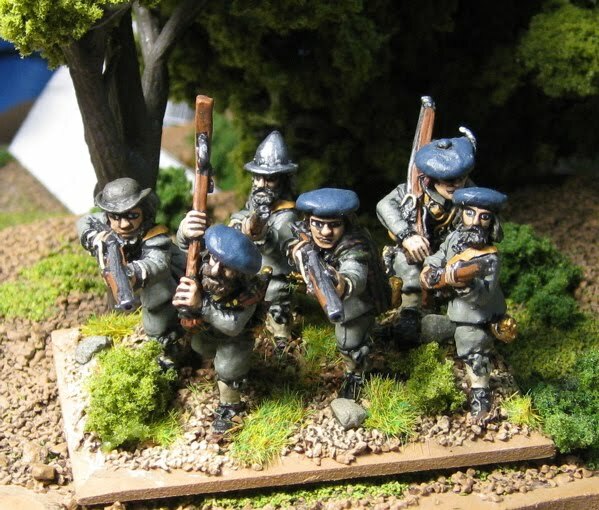 I’d like to get in a few more games like that every so often… Try out Black Powder… Get some more DBA and HOTT games in… maybe even some more Contemptible Little Armies and Blitzkrieg/Cold War/Future War Commander…? Maybe I should set up a regular biweekly game night for wargames…? I am thinking about hosting a couple events again this year and participating in a convention in the fall. A friend of mine and some other fellows are organizing a game convention in Saskatoon this October, which I will definitely run a few games at. I am pondering hosting a couple game days/weekends in February and/or June. I currently have enough stuff that I could now, with minimal preparation, throw down a number of games for 4-6 players to participate in. Most options would be various Savage Worlds skirmish games (Victorian Horror, Fantasy, Pirates, Seven Years War, Dark Ages, Great War, Russian Civil War, Pulp Adventure, Sci-fi, Vietnam, Modern Ops, Zombie Apocalypse… etc, etc…). I could easily bust out a Big Battle Hordes of the Things game with three or four commands per side (Goodies vs. Baddies). 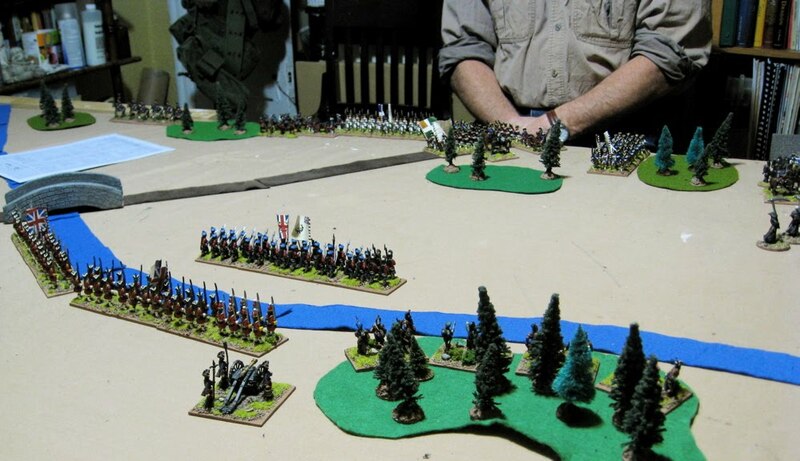 Possibly a DBA-x Big Battle with two or three commands per side (Seven Years War, Russian Civil War, Great War). 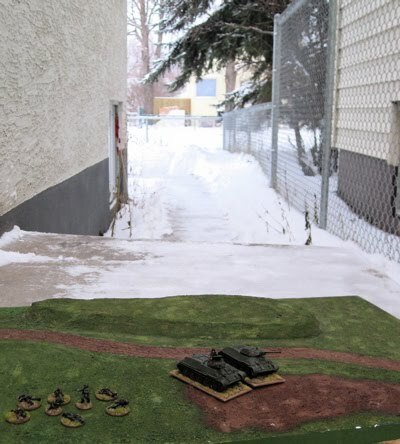 If I finished up a couple re-basing projects (maybe of week of work) I could probably run a biggish Cold War Commander game; Soviet Motor Rifles and/or Air Assault Troops versus a scratch force of British, Canadians, and Americans. With a bit more work I could put together a Contemptible Little Armies game. Vimy, perhaps? Or maybe a “Back of Beyond”/Russian Civil War game…? If I painted a couple more units of British and German Askaris I could put on a decent sized East Africa game. It might be nice to use this as an objective/deadline for some new(-ish) project after I finish the WW2 stuff. Luckily I have until about March to firm up what games I’m going to run there. Preferably this would be something that builds on things I already have (rather than something completely new). The two options that spring immediately to mind are Fulford Gate or Stamford Bridge 1066 and Quebec 1759. I have complete Viking and Anglo-Danish armies for DBA already – plus a number of extra stands for both. I also have enough unpainted figures to do at least two more Viking armies and one other English army – and I could cast enough generic Dark Age infantry men to round out a third army/command for the English. 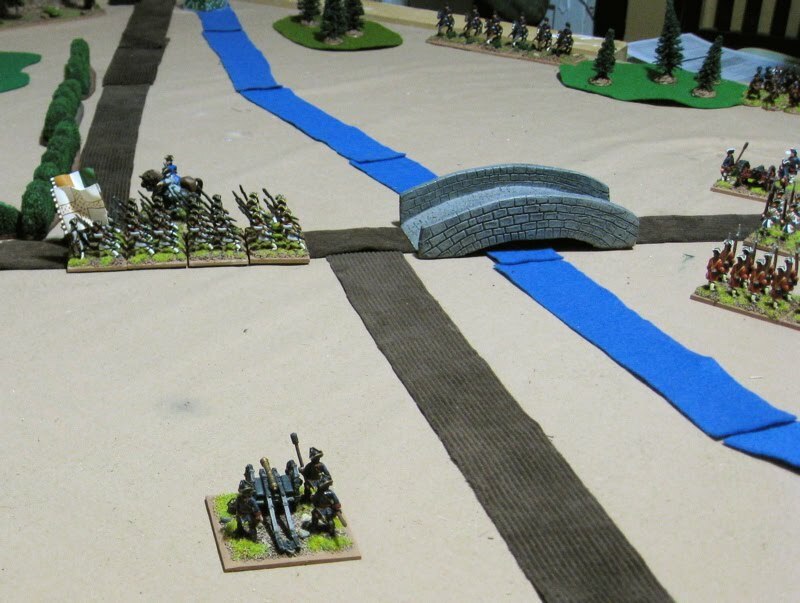 Make some terrain… wouldn’t be too hard to put down a big battle with three commands per side. Well, I’ve got a couple months to think on it. 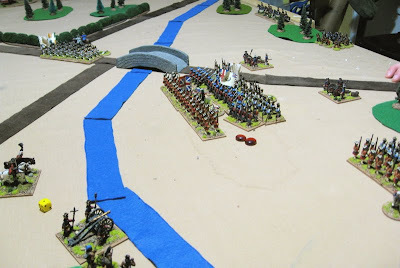 February is actually coming up pretty fast (from a game event planning perspective)… I had thought about a small 1066 campaign weekend with just a couple of guys that I might actually play in. Not sure if that’s going to happen. Because I won’t have time to get a lot of new stuff painted – whatever the format – it will have to pretty much be with stuff I already have done. I have a feeling the latter option may be what I do with in the end. Might even tie it in to one of the campaigns I’m currently running on Savage Saturday. HOTT or DBA campaign for sure. If I was going to do the 1066 event in the fall this might be a good intermediary goal/deadline to have a couple more Dark Ages armies completed. 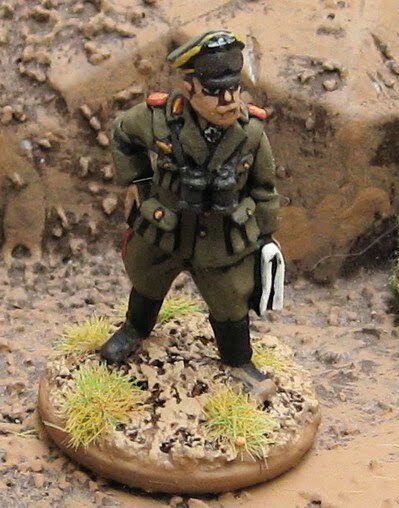 I’ve been working on my 28mm WW2 forces for a good chunk of this past year. I think the first order of business will be to carry on and finish that up. It happens to be what I am playing most these days (see the East Front campaign at Savage Timmy’s Playhouse). I did a little stocktaking of the WW2 stuff a few weeks back. 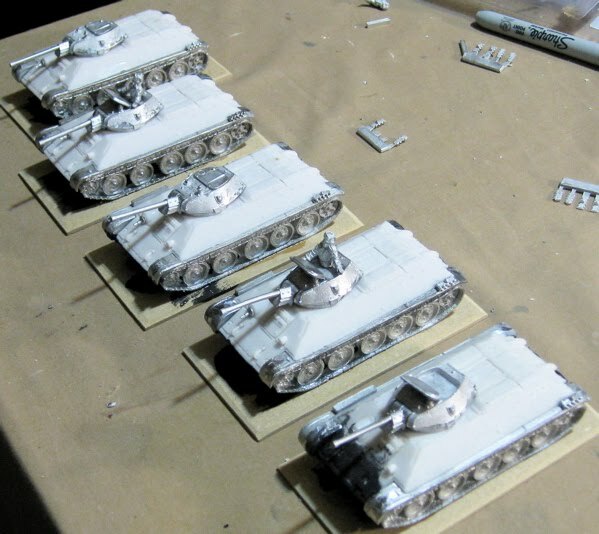 Since then I’ve finished off the Canadians and the Russians (well, except for the universal Carrier and three T-34s). 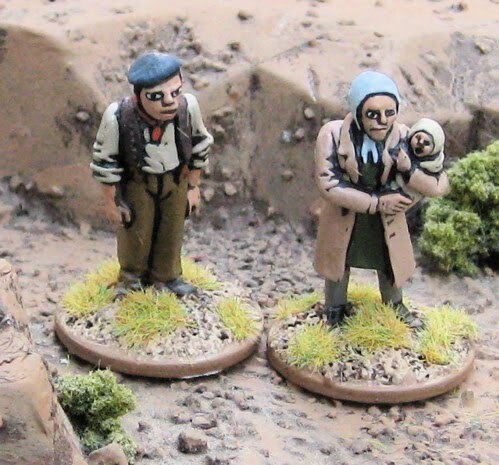 Next I’ll probably work on some partisans (They conveniently double as armed civilians for Pulp Adventure games) and then maybe some Germans…? Finish up either the SS or the Fallshirmjägers of DAK? Chip away at the mountain of Heer. 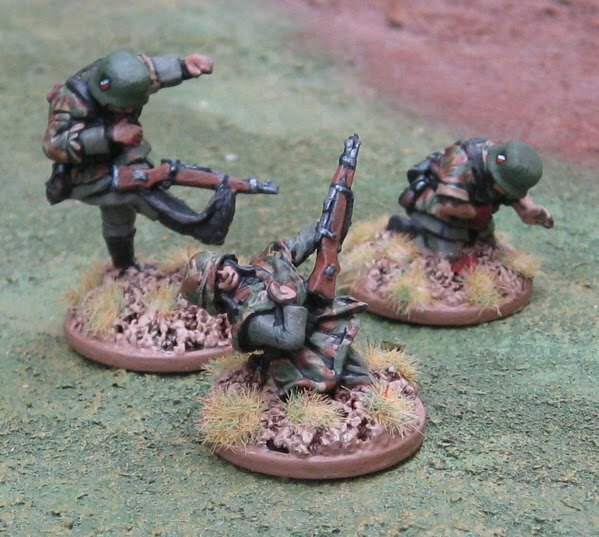 In between batches of Germans I could also finish up the British Commandos and Paras. After that…possibly the Japanese...? The Americans and Italians are pretty low on the priority list – partly because I haven’t really even started them, partly because I don’t have much immediate use for them in any of the adventures/scenarios/campaigns I’m planning for the immediate future. 4x Ealry Imperial Roman armies, plus Early Germans, Picts, Thracians, and Skythians…? ECW - Royalist, Parliamentarian, Scots…? British 14th Army in Burma? This Rommel figure is from Artizan Designs. Some Turks from Copplestone Castings. 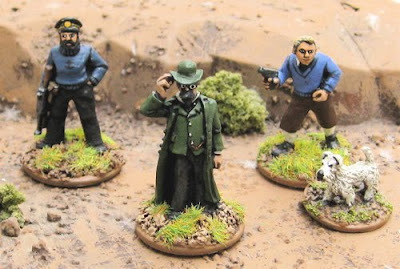 Some Pulp Adventure characters – I think they’re all from Artizan Designs as well. It’s also that time of year when I start to look back at what I’ve done over the past year and start to think about plans for the next year. I know I am far more productive when I have a plan – and especially when there is some specific goal worked into that plan – a game weekend or other big event of some sort. Bob has already posted his plans, and I’ll probably be posting something similar in the near future. …aaaaaaand here’s the rest of them. Again, like the last batch, these are a mix of Copplestone Castings and Pulp Figures. The two Explorers with rifles are from Copplestone Castings and the Mountaineer and Trapper are from Pulp Figures. The remaining figures from their respective packs are all at the front of the workbench and should be finished up shortly. The rest of the Mountaineers and Artic Explorers. A minor diversion, yes, but all the “Pulp Adventure” stuff sort of fits in with the WW2 stuff… it’s all within a decade or so of the area of focus at the moment. I’d like to say next is the rest of the T-34s and then on to some Germans… but some WW1 Turks have made it back on to my workbench…. I might just knock off a bunch of those before returning to the WW2 stuff. At least I'm still in the first half of the 20th Century!? In other interesting news; I finally broke down and ordered myself a copy of Black Powder. 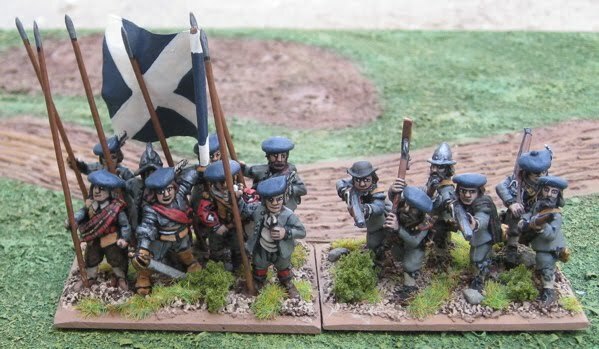 Now, my pretty Frenchmen will be able to give John’s uncultured, backwater, Lutelandic thugs (on their funny-sized bases) the trashing they deserve! Huzzah! 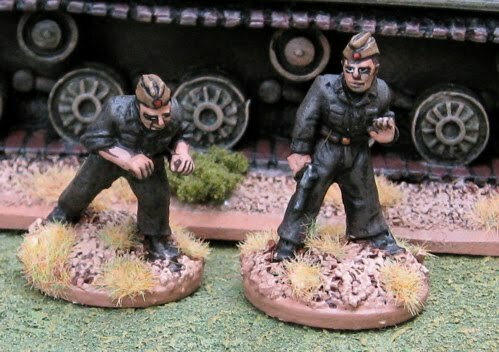 I finished up two of the T-34s and a the rest of my German casualties. The tanks are from West Wind Productions. Overcast, snowing and -28°C… Well there was a brief lull in the snowing during which I went out and shoveled and then quickly took these pics. These models are from West Wind Productions. Simple enough. A bit wonky. Whatever – I’ve got FIVE of them! Take that, Fascists! The Shermans are all from West Wind Productions. The Firefly I had finished up previously. These chaps are painted as a troop from B Squadron of the 1st Canadian Hussars (6th Armoured Regiment, 2nd Independent Canadian Armoured Brigade) who were in direct support of the 7th Canadian Infantry Brigade on D-Day. I also happen to finally finish up the 6-Pounder AT gun. The crew I had finished some time ago. Crew and gun are all from Artizan Designs. There’s a mix of Artizan Designs, Bolt Action Miniatures, Black Tree Design, West Wind Productions, Crusader Miniatures, and First Corps. They have been painted with the shoulder titles of the Regina Rifle Regiment (7th Canadian Infantry Brigade, 3rd Canadian Infantry Division). I’m six riflemen shy of two full-strength rifle platoons. It’ll probably be a while before I pick them up because when would they have ever gone into action with nine – let alone a full ten!? Supporting the Rifle platoons are two tubes of 3” mortars and their crews from the battalion’s Mortar Platoon, a six-pounder from the Anti-Tank Platoon, a couple sappers from the Pioneer Platoon, moving and firing Vickers teams from the Cameron Highlanders of Ottawa (the divisional MG Battalion), a scout car from the 7th Reconnaissance Regiment (17th Duke of Yorks Royal Canadian Hussars – the Divisional Reconnaissance Regiment), and the aforementioned troop of Shermans from the 1st Hussars (6th Armoured Regiment, 2nd Independent Canadian Armoured Brigade – who were in direct support of the 7th Brigade on D-Day). Maybe some T-34s… maybe something Sci-fi-ish or pulpy… WE shall see…. 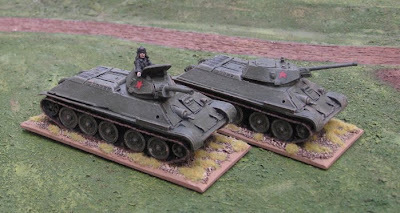 I would like to finish up the T-34s because it’s the last of the Soviet stuff I have. I’ve actually got the East Front Campaigngoing again too so they’d potentially be handy in the short term – although the only opponents I have for them are the Pzkw38t and the StugD… (oh, and the doorknocker Pak36 AT gun). Like the last batch these are all from West Wind Productions. I sat down and figured out how many 28mm WW2 things I have to finish up this evening (because I apparently have nothing better to do!? )… All part of the planning process, I guess. Looking at the rate I’ve been painting (which has been dropping lately), it’s still take another SIX MONTHS to finish all of this!? 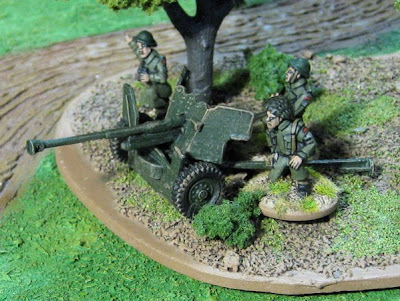 I’m so close to finishing up so many of those 28mm WW2 forces I’ve decided to just carry on with them and get them FINISHED! First the rest of the Soviet dead, then the Canadian Sherman troop, then the T-34s… then…? Not sure… but I’ll probably mix it up doing a bit of this and a bit of that to keep things interesting. After that…? I’m not sure. I’ve been thinking about the Great War again and getting back to the Vimy Project - fixing/finishing up the section of the ridge already completed. It’s been sitting in a closet gathering dust for the last couple years and been banged about a bit, and I never did get to finishing all the trench details. I think over the next month, as the collection is in a bit of a static state (not painting a lot, not buying any new stuff), I think I might do another big stocktaking (like I did last year) to get a sense of where I’m at and figure out what to do next. 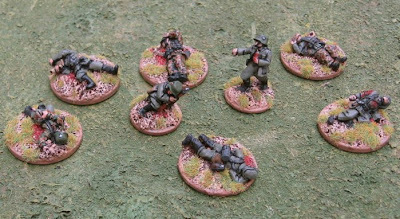 I’ve been picking up some casualties for my various WW2 forces. I’d rather put an actual wounded marker out on the table than just leave figures toppled over where they were knocked out of action. This pack is, unfortunately, mostly later war (in smocks) and about half are “action” casualties (in the act of getting shot/etc – which are really cool looking and might make for some fun game reports… but not so great for leaving on the table to mark where casualties fell..
Two of these guys above actually have exit wounds blowing out the back of their smocks! This is kind of what I prefer. Static casualties. I bought two bags of the Soviets…. As I mentioned earlier it’ll probably be the rest of the Soviet casualties first. Then I’ll probably finish the Canadian Sherman troop (though I probably won’t bother with the step-by-step that I had originally planned to do) and that should finish off the Canadians. After that I’ll probably get to work on the T-34s as that should finish off the Russians … after that…? 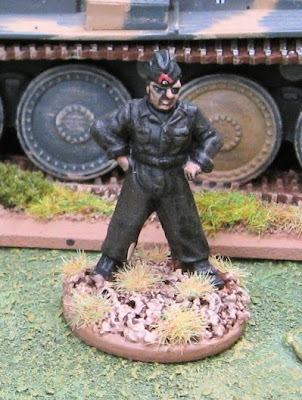 Not sure… might make a slight deviation and paint up a few Great War types… or just plough on ahead with the WW2 stuff… I have a few British/Canadians Paras to finish up, British Commandos, some SS, DAK and Fallschirmjägers, a few armed civilian types, and some Japanese (including some casualties!). Then I’ll have to get on to the rest of the Germans (there’s quite a bit – about a full platoon of infantry and five tanks), The Americans (again, full platoon or more, and an SP AT gun), and the Italians (full platoon and then some). 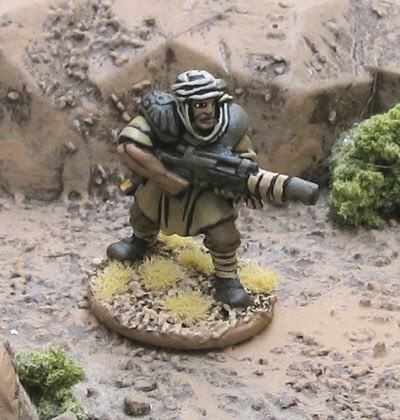 The figure is a Tallarn Imperial Guardsman from Games Workshop (pictured here entirely without their permission). 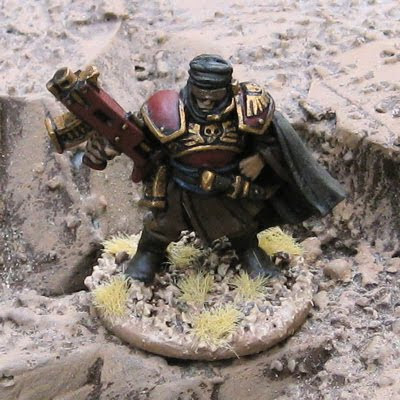 The figure is a Tallarn Imperial Guardsman from Games Workshop (pictured here entirely without their permission). I kind of like the figures. They’re hideously expensive so I’ve been picking up a few here and there off ebay. I like the idea of fielding HORDES of these as an Imperial Guard force… y’know… if I was actually remotely interested in playing 40K… I’ll probably just put together a squad or two for some Savage Sci-fi Skimishin’. A Border Skirmish in Timbogo!! The “Lions of Timshasa” are the elite of the Federal Army of the Republic of Timbogo (F.A.R.T.). 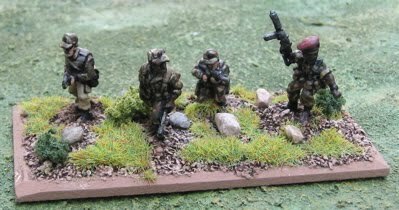 I have been re-basing some modern stuff and in the process realized I’d need to paint up some extra troops to be able to field a couple of forces for AK-47 Republic. I have a few more to paint up to finsh on force. Some other moderns will likely be pressed into service as a “Colonial Power” or “Superpower–backed Client State”. The new “Lions” – These are 1/72 plastic figures from a variety of manufacturers… mostly old Esci Nato and Warsaw pact forces. I have a pile of 1/72 plastic modern Germans. I bought the packs for the Milan ATGW teams (which I used for my modern British forces...) and have no great desire to do modern Germans... I thought I might use them as Future War troops (for Future War Commander!) and just paint them up with some funky fun camo... something similar to the Timashek Legion... but maybe in blues and greens...? What to do... What to do...? 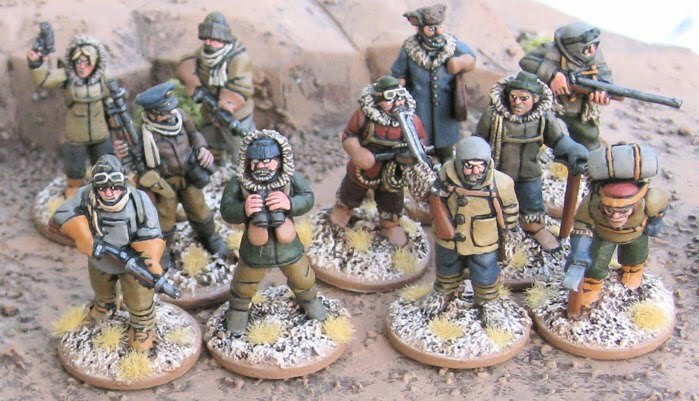 Well I've been re-basing and painting a few new figures for my AK-47 Republic armies... 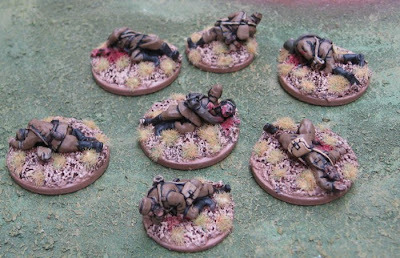 The re-basing has put more figures on a base ans so I'm having to paint up quite a few extras to be able to field two formations. When I actually have some units completed I'll post some pics. Okay... finish AK-47 armies... THEN finish 28mm WW2... THEN I'll have to think about what to do next... probably something DBA/HOTT related, though perhaps some of it's variants covering the English Civil War or Seven Years War. I am still alive. Haven't played any games over the last week or so and what little time I've had to devote to hobby stuff has been spent re-basing moderns to slowly bring them up to the new basing standard. I've mostly been working on Modern Africans (and equipment that could potentially be used by Modern Africans) as a friend expressed an interest in trying out AK-47 Republic. Might also give Cold War Commander a go again. Of course as the new basing scheme has more figures per base I'll have less elements than I began with so I may end up painting a few 20mm moderns before this is all through. After the dust settles on all this re-basing nonsense, I think I'm going to finish up some British and French Seven Years War stuff. The miniature painting productivity level has dropped around considerably… I’ve been busy… well... painting other stuff. Mr. Miller was over again last night for another painting night and I finished up a stand of ECW Scots Covenanteers. These are all from The Foundry. I picked them up earlier this year off ebay. They are the beginning of a ECW-DBA Covenanteers army. Not entirely the most useful thing to work on right now, but they were nearly done so I thought I’d finish them up – because finishing anything is finishing stuff and finishing stuff is good. 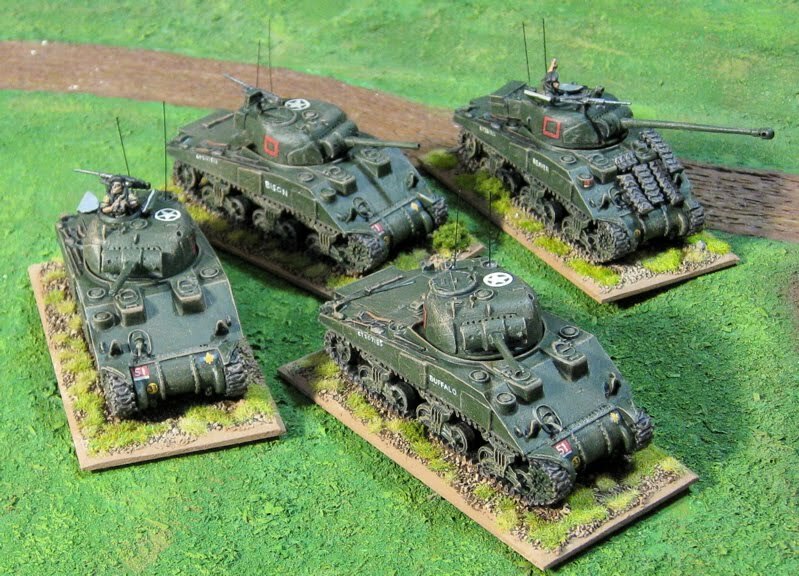 One would think I should finish up the Canadian Sherman Troop I’ve started. The problem is, though these could be finished up pretty quickly, they have not real opponents to fight, or terrain to fight upon… and getting stuff done that I will be able to USE seems a more efficient way to spend my time. For the Seven Years War I HAVE two complete armies ready to use – British and French (we used them in a battle last week). What I’d like is to try some BIGGER battles (two brigades/commands – or more – per side) with some different troops (cavalry!). I have two complete brigades for the French, though they are mostly foot. I need to finish 9 more stands (~72 figures - but EASY-to-paint figures!) 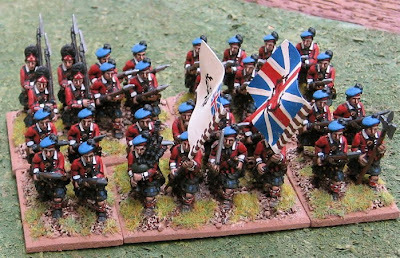 to field a second full brigade/command of British. 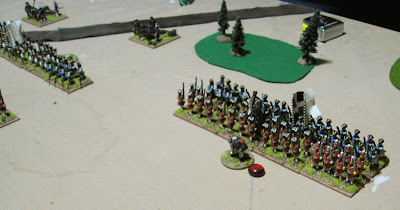 I do have some French Cavalry (2-3 stands, 8 mounted figures) I can paint as well. For the “Dark Ages”, I have a number of things to work on: Irish, Picts, Scotts, Welsh, and some extra Anglo-Danish and Vikings (like two more complete armies of Vikings!). The irish seems like they’d be the quickest ean easiest fo finish (~40 foot). 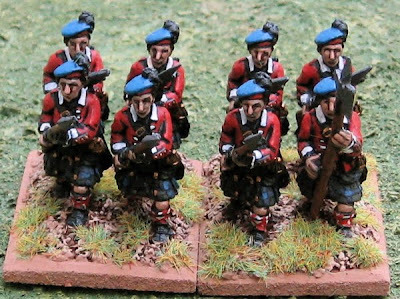 Though there’s less Picts (~30 foot + a chariot), they’re more time consuming to paint (because I feel compelled to paint tartan patterns on their cloaks, etc.). The Scotts and Welsh aren’t even started (looks like 50-70+, each, for all options). The additional Viking armies are pretty low priority, though I have a few stands of Anglo spear I’d like to finish up so they could be fielded as “Middle Anglo-Saxons”. Rome… well I have the one Roman army… I’d like to paint a second one (for John)… and some early Germans… then some more Romans… None of the new ones are started however and all will be 70+ foot plus some mounted… so lot of work there and thus lower priority. 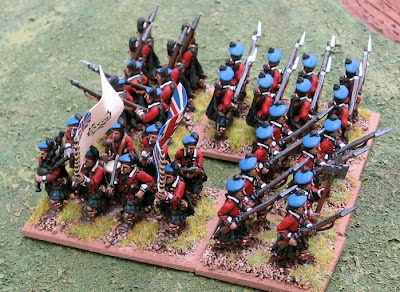 I guess I’d also be interested in trying some English Civil War with DBA-x, but I only have enough stuff for one force (and now a single stand ready for force #2…). So I guess these Scots aren’t entirely useless. 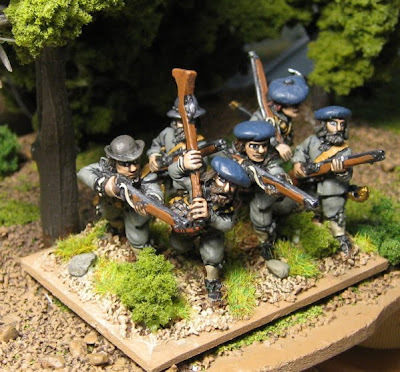 Contemptible Little Armies/Ever Victorious Armies… I was thinking we could try using Ever Victorious Armies for some of our Great War era games – some of the mechanics seem a bit “cleaner” and more suited for our preferred level of play (maneuver units being battalions, etc). Anyway I have some stuff for East Africa, the Middle East and British Civil War. 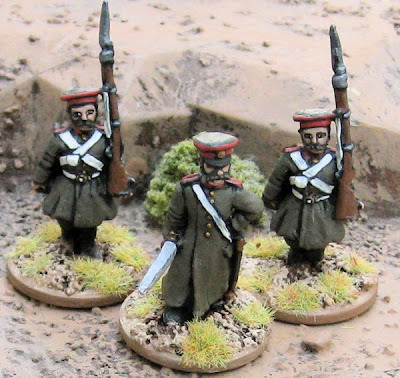 I kind of like to do some Russian Civil War… but most of it’s been rebased and I don’t really want to go re-re-basing again, I’d rather just cast up and paint new stuff… Starting from almost scratch puts that lower on the priority list. 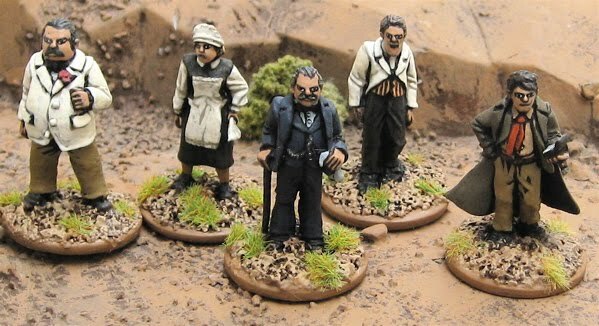 We’ve already played one game set in the fictitious (Very) British Civil War (c1938). I have the forces we played with… plus another dozen British (well, Canadian, really) infantry that I’ve recently re-based and all those Police (which I forgot to pull out for the last game!). I also have a few more armed civilians I could throw in. 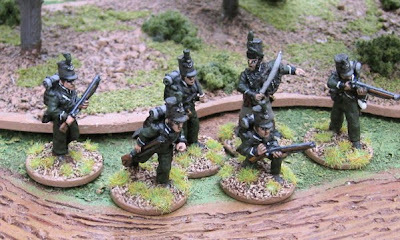 In terms of what could be painted up to add to the possibilities are another dozen British (Canadian) infantry and about 16 Naval Brigade. Hmmmmmm… Irish then…? Or SYW British…?